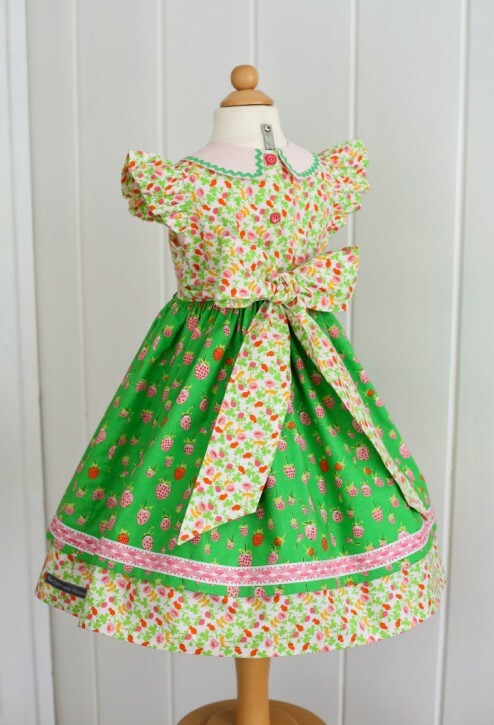 You spent all that time creating the most adorable dress ever, only to finish it off with a crooked bow. You tried and tried and it never seems to look right, so eventually you just give up on tying the perfect bow. On today’s Lesson with Lindsay, I’m teaching you how to tie the perfect bow on your little girls’ dress. I promise you, it’s really so simple! I get it…….tying a bow can be tricky, but with my easy-tie method, you’ll never have to worry about having a messy looking bow again. Plus your bow will be straight, perfectly fluffy and stay in place longer! I know how much time, love and attention you all put into sewing handmade clothing for your little ones, so I want you to be able to finish off your creations with the most spectacular bow! Come watch today’s Lesson with Lindsay Sewing Video below…….. 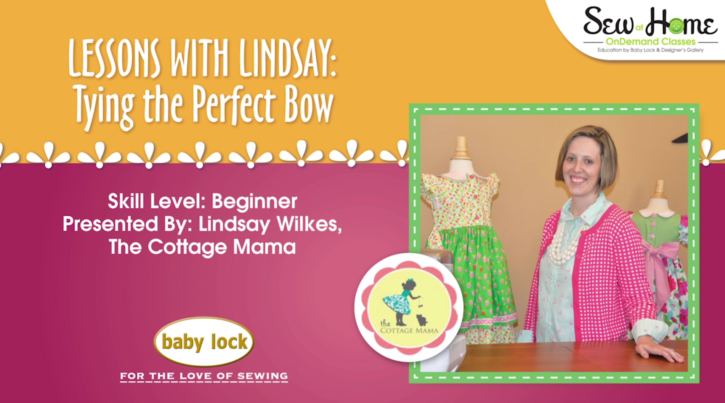 I hope you enjoyed today’s Lesson with Lindsay video about How to Tie the Perfect Bow! It was a short video, but hopefully a valuable one. If you enjoy my Lessons with Lindsay series, I encourage you to share these videos with your friends and on social media so everyone can enjoy learning new sewing techniques, tips and techniques. You can view all the previous Lessons with Lindsay videos by clicking HERE. Check back again in a few weeks for another new Lessons with Lindsay video. A big thank you to my sewing machine sponsor, Baby Lock Sewing and Embroidery Machines, for working with me on these videos and helping to provide all of this content for you! I’m looking forward to continuing this series for you all with more Lessons with Lindsay Sewing Videos.